KeyCDN’s pricing is very favorable compared to other services offering pay-as-you go pricing that’s good for a year, versus monthly pricing that other CDNs require. KeyCDN is really easy to set up with WordPress. 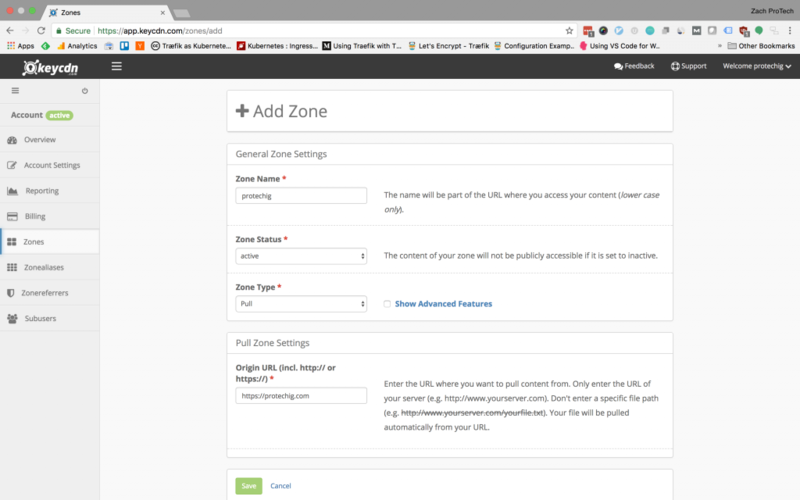 Once you sign up for an account, got to Zones > Add new and enter your website’s info and click “save”. 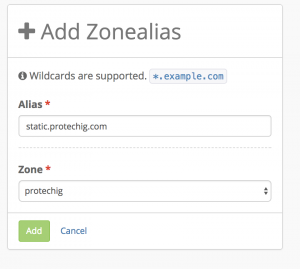 Then make a CNAME record with your DNS host to point static.protechig.com to your Zone URL. Next, we need to enable a CDN in WordPress. My preferred way of doing this is through W3 Total Cache, but you can also do this through the CDN Enabler Plugin (which is created by KeyCDN). First, under Performance > General Settings enable the CDN and sett the type to “Generic Mirror”. Then, under Performance > CDN, enter the hostname of your CDN, static.protechig.com in my case. Your site should now be serving content from KeyCDN’s servers.